‘Gacha games’ or ‘hero collector’ games have become a mainstay in this day and age, especially for mobile gaming. Most of these games will latch onto an existing and well-known intellectual property like Marvel, DC and manga as the base of their games. Some of you might have played these games, from ‘Fate: Grand Order’, ‘Fire Emblem Heroes’, ‘Final Fantasy: Exvius’ or the ever famous ‘Granblue Fantasy’. 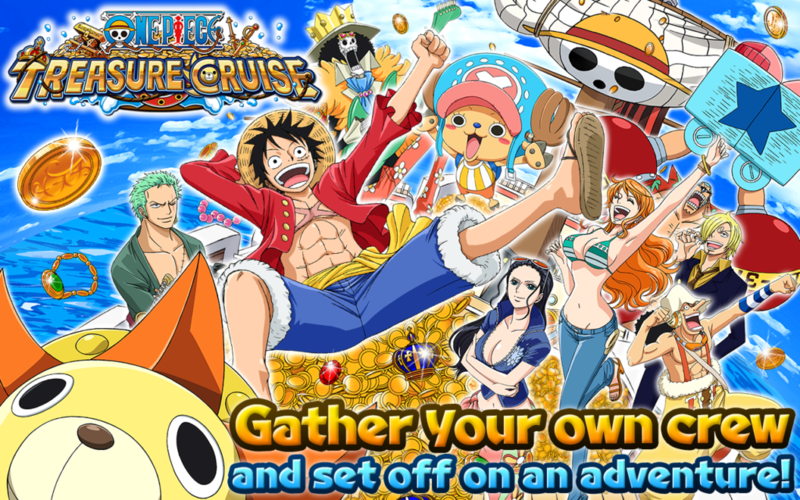 However, one of the best gacha games I have played to date and will continue to play is ‘One Piece: Treasure Cruise’; a game that for over four (4) years has steadily expanded with various content for its players to engage with and numerous events that shower the players with gifts. ‘One Piece: Treasure Cruise’, as you can guess from its name, is a game based on the highly renowned manga ‘One Piece’, penned by Eichiri Oda. 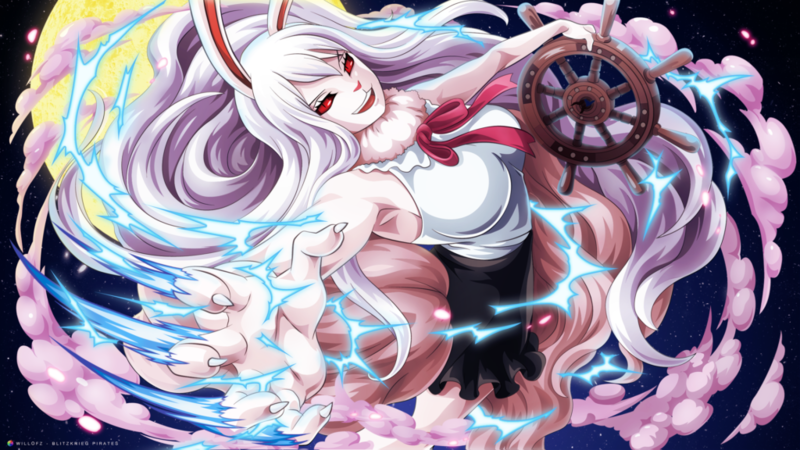 The game features almost, if not all, of the wide variety of characters and story lines from its manga counterpart. 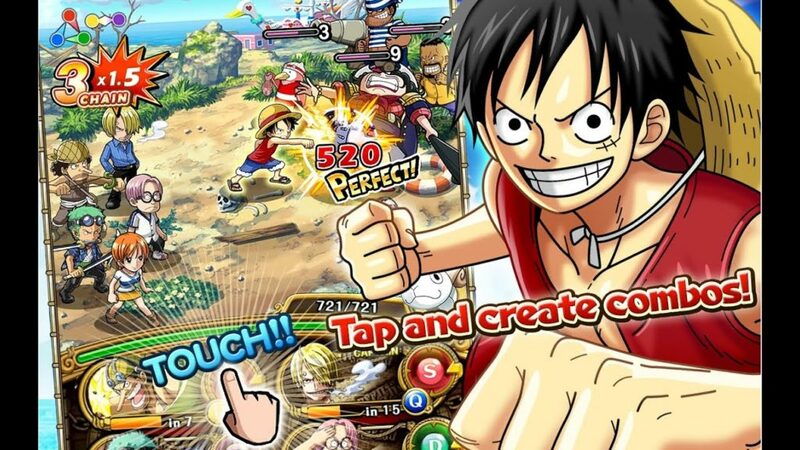 A new player starts off the game with its main character, Luffy, as your only character and will recruit his crew along the way as you complete the Story Islands. The player can then either recruit more characters either from the Story Islands, Extra Islands (extra content that rotates either daily or bi-weekly) or from gacha pulls. The player will then create a crew of 6 from their pool of characters and unlockable ships to play the game and clear content. However, the game does give new players free 10 pulls in its gacha system with a guaranteed Legend (its 6 star and best characters) to give the player a head start. The game play is usually referred to by the players as “tap timing”, where the player has to tap one of its crew of 6 and continue to tap all 6 of its crew members in a timely manner to produce the highest damage. 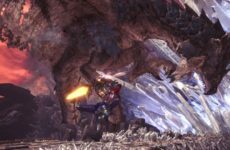 Different characters have different timing and produces different damage based on their stats and level. Thus, creating a strategic and synergistic crew is important to produce the best results while playing the game. Each character also has its own special attacks that they can use once their bar fills up throughout the stages of a single quest. The game, like most other mobile games, uses a bar stamina for each run of a quest and fills up when the player levels up or uses gems to refill it. The players can recruit more characters either through its gacha system which uses Gems, the purchase currency that uses real money, or by defeating enemies from its various content in the game like Clash! !, Colosseum and Fortnights. For instance, the player can recruit the strong captain and character Hawkeye Mihawk from defeating him in a Clash!! Mihawk quest and power him up from repeating the same quest until he is max level. Of course, although the recruitable characters from quests are strong, recruitable characters from the gacha system are way better and outclass the “free” characters, especially the Legends. Although there are a wide variety of characters taken from the namesake manga, the characters do appear more than once. For instance, there is the Hawkeye Mihawk which you can recruit from quests, the Legendary “Hawk Eyes” Mihawk, World’s Strongest Swordsman, which you can get from the gacha system and even Hawk Eyes Mihawk, The Strongest Swordsman Standing on Top of the World from the Treasure Map event. Each character has different stats and special abilities and can fit into different crews depending on the circumstances of the quest. Unfortunately, since the characters share the same “Mihawk” name, you can only have one Mihawk in your crew of 6. Thus, making a decision on which Mihawk to use is a strategy of its own. The game is also generous as most players can play for free and still earn Legends either from the gacha system or from Red Tickets (a one-time summon ticket the game gives out as rewards). Each month there will be a Sugo Fest, which is their version of Gacha banner, with probability rates boosted for certain characters. 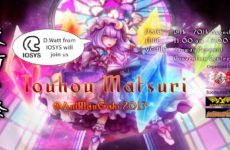 Each year there is also an Anniversary Sugo Fest where the rates are much higher than the normal Sugo Fest, with guaranteed Legend pulls after a certain number of pulls. A lot of players save up their gems for these events. To earn gems are simple. Gems are given every day – once for logging in, and once for doing a simple quest. They can also be earned by completing Story Quests as well as clearing the content of the games. With that being said, the game can also be played and content can be cleared completely free just by using the farm-able characters, without even touching the gacha system. This is a feature that not all mobile games can afford and I find this great for completely free-to-play players. If you are into “hero collector” mobile games and do not mind the gacha system, I highly recommend that you download and give this game a go. It is a high skill and high reward game that can cause burnout at times, but you can always come back to look at the collection of Pirate Crews you have and give it a go again at any time. Until next time, yarrr ahoyyyy mateys! 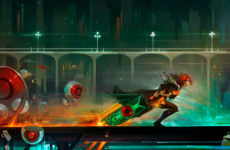 Transistor: Is It Worth Your Time?